Murri-Ailan Way is a showcase celebrating Aboriginal and Torres Strait Islander culture, talent and community at QUT. Celebrations will be taking place on each campus from the 5-7 August, find out what's happening near you below. Indigenous Education 'one size does not fit all' - the QUT Caboolture Campus and Oodgeroo Unit are hosting this event with guest speakers including Indigenous Alumni, Academics, Staff and Community Members who all have a story to share about their own experiences of education both personally and professionally. Enjoy sharing the trials, tribulations and accomplishments of our speakers while they share with you the lessons they learned along the way. Chris Tamwoy - Chris is of Torres Strait Islander descent from the Badu, Boigu and Darnley Islands, and lists music as his biggest passion. Find out more about Chris on his facebook page and check out his TEDx appearance. 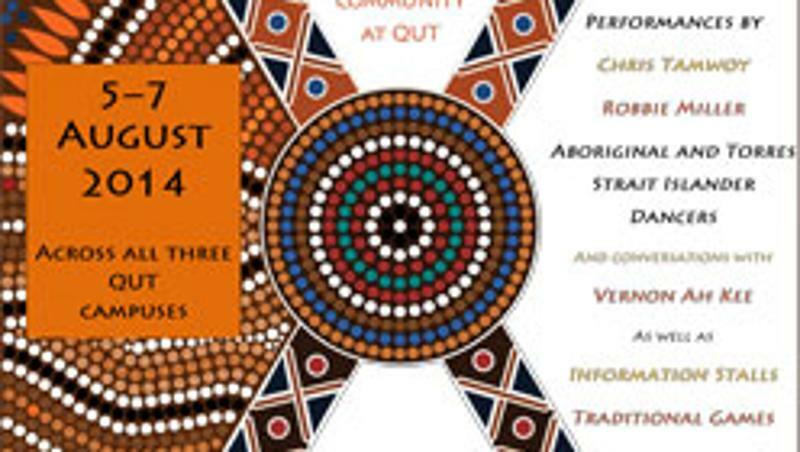 Healthy Yarns - QUT's Faculty of Health is hosting Healthy Yarns, a combination of indigenous culture and information about indigenous health and health careers. Information stalls from Indigenous Allied Health Australia, the Institute for Urban Indigenous Health, ANTaR, Reconciliation QLD Inc, AIME and Indigenous Student Games BBQ will be present on the day and bush tucker demonstrations will be taking place as well.